Owning a Home is the Most Likely Indicator of Feeling Settled TORONTO, September 24, 2007 — A new study from RBC and Ipsos Reid shows a large maj.. Question: There are news articles appearing in the newspapers that Canadian Govt is considering giving general amnesty to all illegal workers in Cana.. The existing immigration laws provide that an immigration detainee can be held in custody indefinitely. Not that this happens in every case, but it does happen, recently the Ontario Superior Court released one such person, Alvin Brown of Jamaica was held in custody for five years and another person for seven years. So, what is the issue? The Canadian Charter of Rights and Freedoms protects everyone in Canada, it is unconstitutional to hold a person in detention indefinitely. The United Nations considers indefinite detention as an infringement of human rights and suggested to Canada, a few years ago, to set a reasonable limit on the duration of immigration detention. Most countries, the United States included, have a limit on immigration detention. Whether Canada should hold immigration detainee indefinitely is the question that Canadians should give some thought. Justice Ian Nordheimer in one of his decision found indefinite detention “unacceptable”. Now, this matter is before the Justice Simon Fothergill in the Federal Court. 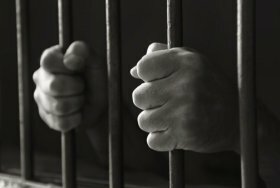 The government lawyers argue that indefinite detention laws are required in some immigrant detainee cases “for public safety”. There are strong public opinions on both sides of this issue. It is only fair that I disclose my position, as a legal professional, I represent detainees. However, I am always listening to the other side. Your comments are most welcome.